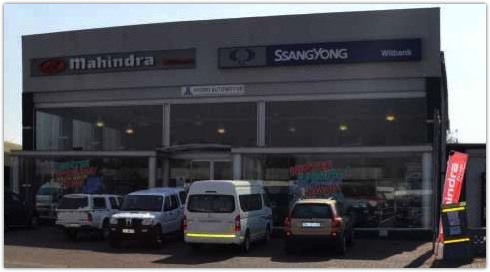 At Mahindra witbank we stock the full range of Mahindra's available in South Africa. From the versatile and performance focused Scorpio to the elegance of the XUV500. Our vehicles offer space, quality and handling for all of your needs. Service while you wait. Get quality service in less time with Mahindra's MaxiLane Service. With MaxiLane you don't have to worry about how to get to your next meeting without a car or who is going to pick up the kids from school. "Mahindra's close association with ABSA vehicle and Asset Finance provides you an opportunity to apply Online through Mahindra Finance. All that is required from you is a click on link leaving you with just one step away from driving your Mahindra today".